Your home’s windows may have begun feeling like a burden for you and your family. Older windows often demand a great deal of attention, and that can become a problem for those of us who are busy and have other priorities. The solution isn’t ignoring your windows altogether. The solution is installing more reliable and durable windows. If you or someone you know is looking into replacement windows in or near Queen Creek, AZ, you should know that the right solution may be just around the corner. There are professionals in your area who can work with your family to determine how you should proceed when it comes to window replacement. There is no reason to put that solution off and let certain problems become even worse. Now may be the time to make an investment in your home’s well-being. Worrying about your windows is no fun. They may require a great deal of regular maintenance, especially if they’re made from wood. Over the course of time, that can become somewhat expensive and time-consuming. No one wants that. And there are certainly newer alternatives that can save you time and money, making your life a little less complicated and assuring you one less thing to worry about. You may have also noticed that your windows are increasingly requiring some kind of repairs. At some point, you have to determine whether or not it is worth making the repairs. You may be better off investing in newer windows that won’t require those kind of repairs, lasting at least several decades in the process. Every situation is different, and your needs may be unique. Given the range of materials used to make windows and the various benefits associated therewith, it is often a good idea to discuss your options with a professional. They can address any questions you may have, walk you through the process, and point you in the right direction. Given the importance of an investment like this, that’s not a bad idea. At Cougar Windows & Doors, we understand that you have a lot going on in your life. You likely have any number of pressing priorities that don’t include keeping up with your aging windows. We aim to make your lives easier and assure you a lasting, durable product that doesn’t require a great deal of upkeep. We know that can make a serious difference to your family, your home, and your overall well-being. There is no reason to waste time with maintenance and repair in a world where something much better is available. You may find any number of other reasons to seek new windows, as well, including things like energy efficiency and achieving a more updated look for your home. 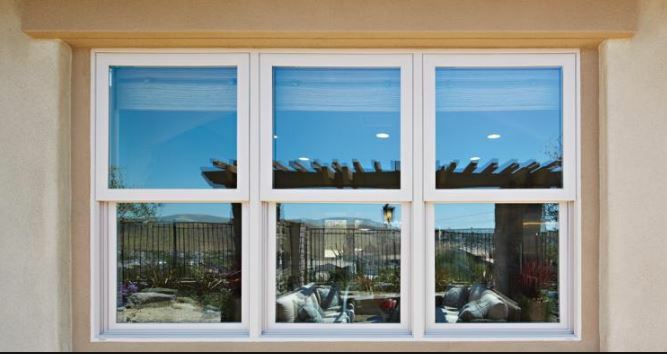 If you are interested in replacement windows in the Queen Creek, AZ, area, consider reaching out to Cougar Windows & Doors. We remain very committed to doing the right thing for your family and making your life easier in the process. You can visit us at 3820 E Main St Ste 5, Mesa, AZ 85205 or placing a phone call to (480) 699-9066. Many families find themselves looking for ways to make their homes feel more open. There are plenty of reasons to like the idea. A more open concept often means better sight lines, the ability to entertain more easily, or even assuring that the kitchen is accessible to a family and dining area. But when it comes to creating a feeling of openness, you shouldn’t forget about your windows. If you or someone you know is looking into window replacement in or near Sun Lakes, AZ, you should rest assured that taking care of your windows can radically change the look and feel of your home in important ways. Whether you wish to replace aging windows or install brand new ones, you will have plenty of options. And either way you go, your home will feel more open and welcoming as a result. So how does one achieve a truly open concept? For many, the idea of openness means knocking down a wall or two in order to change the floor plan. And yes, that is certainly part of the battle. But you might want to spend some time looking beyond those walls and thinking about the impact newer windows could make. For example, more natural light can certainly create the feel of a larger, airier environment—ultimately making your home seem more open, regardless of where the walls are placed. New or updated windows can also create better views of the outside, creating a greater sense of indoor-outdoor living. Whatever surrounds your home—be it a beautiful yard, scenic views, or a swimming pool—having greater visual access will make your interior seem more expansive and inviting. From that perspective, installing new windows or replacing current windows may be a pretty cost-effective solution to your family’s need for an open concept. 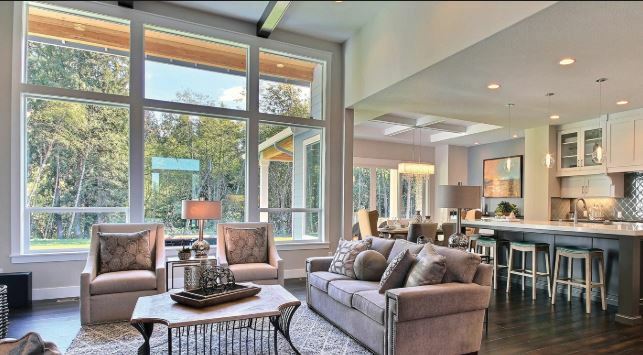 The big point is that an open concept isn’t about your floor plan alone. There’s more to it than that, and windows are integral to a complete renovation. At Cougar Windows & Doors, we understand just how important windows are to your home. We see it everyday. You may have any number of questions when it comes to your windows, and we are here to answer them—even offering free in-home consultations so that you’re fully informed and prepared to make an educated decision. We are committed to doing the right thing for your home and your family, and we take our jobs seriously. But windows should ultimately be a high priority for you, too, especially if you’re committed to developing a more open concept and changing how your home feels. It shouldn’t seem dark and cloudy. When entertaining friends and family, your home should be an inviting space that feel light and airy. We can help you accomplish that. 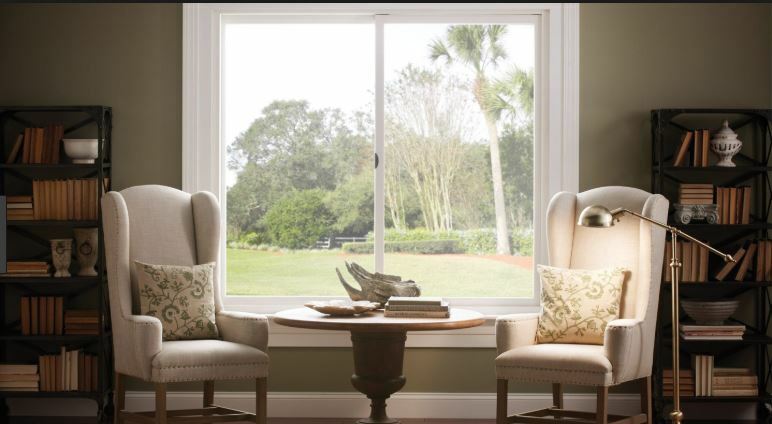 If you are interested in window replacement in the Sun Lakes, AZ, area, consider reaching out to Cougar Windows & Doors. We pride ourselves on handling your window needs in a timely and professional fashion. You can visit us at 3820 E Main St Ste 5, Mesa, AZ 85205 or place a phone call to (480) 699-9066. It’s official. People love to entertain friends and family. Most of us thoroughly enjoy the opportunity to let others into our home for things like dinner parties, game night, small get-togethers and otherwise. That’s what your home is for, at least in part. And when it comes to hospitality, we should give serious thought to what will make our homes look and feel more inviting. That’s where new windows can make a real difference. If you or someone you is looking into window replacement in or near Queen Creek, AZ, remember that there are a wide range of options that can make all the difference to your home. Those option include windows made with wood, vinyl, fiberglass, aluminum, and wood that has been clad in either vinyl or aluminum. There are also a number of styles to suit your needs, everything from single-hung windows to custom designs that send just the right message. When it comes to windows, there is really no excuse to enjoy anything less than what you and your family deserve. The first point to make is that, yes, your guests do notice things like your windows. They may not bring them up at every opportunity, but you better believe the presence of natural light and views of the outdoors can make a substantial difference. People use windows all the time, whether they consciously think about it or not. The more windows you have, the better. They generally accomplish more when they’re fairly large, as well. If your home feels closed off from the outside or darker than it should, that is probably a sign that newer and more dynamic windows are in order. Your guests will assuredly notice the difference. Guests also tend to notice when windows are beginning to look past their primes. You might have noticed something along these lines, as well. Do your windows look like they came out of the 1970s or 1980s? Do they more closely resemble something out of a 1990s sitcom? These are common problems. After all, many of our homes are decades old. Some design elements age better than others. If it is time for your windows to receive an update, don’t hesitate to make the move. Your home will look and feel newer in an instant. You may have other projects in mind, too. That’s perfectly fine. Whether it’s a kitchen makeover or new floors, these kinds of renovation projects certainly aren’t incompatible with replacing your windows or installing new ones. We generally want to put our best foot forward when it comes to entertaining guests. We want to send the right message, implying that our homes have been well taken care of and are in optimal condition. Sometimes that requires a little work and a little love. And sometimes that means it is time for new windows. If you are interested in window replacement in the Queen Creek, AZ, consider reaching out to Cougar Windows & Doors. We know how important it is for you to have a home that looks and feels the right way. We are here to do our part. You can visit us at 3820 E Main St Ste 5, Mesa, AZ 85205 or place a phone call to (480) 699-9066. Windows aren’t just about your home’s aesthetic. They also play a vitally important role when it comes to the function thereof. Whether you are considering a replacement of current windows or the installation of new windows, your decision could make a tremendous difference to how your home works. That’s probably worth thinking about. If you or someone you know is looking for replacement windows in or near Fountain Hills, AZ, remember that there are a range of windows and styles that can address your home’s needs effectively. When it comes to the possibility of tackling your home’s windows with your next project, you should seriously consider some of the advantages. This is an important investment, and your home may thank you for it. We all know that windows can make our home look better. They make rooms seem larger. That make them more welcoming, as well. And we also know that older windows can make our homes seem older and out of touch. That can be a problem. But there is more to the story. Windows aren’t just about eye candy. They also play an integral role to the function of your home. 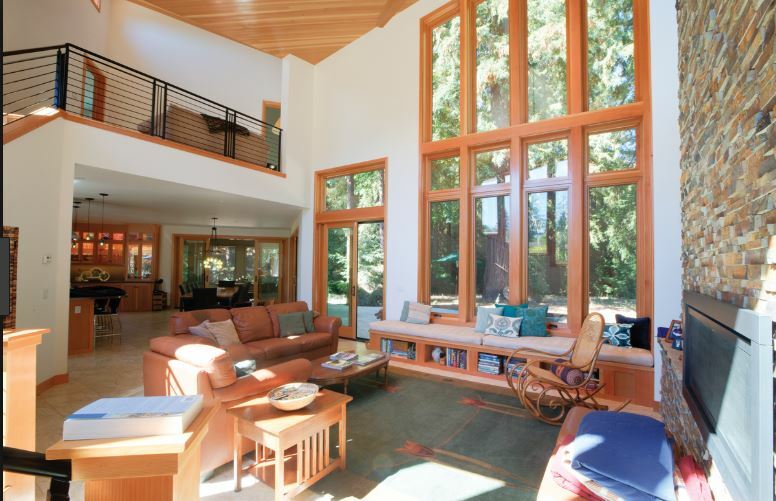 Large windows can, for example, transform a family room in important ways. We generally like to entertain guests in our family or living rooms. They’re gathering places, and they should generally feel open and accommodating as a result. 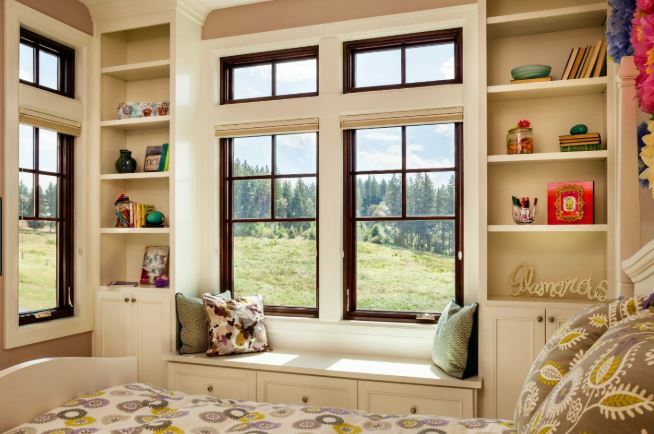 Large windows can easily create that impression, all while proving your guests and unfettered view of the outdoors. The alternative isn’t particularly pretty. A large room without large windows can feel like a warehouse. That’s not the kind of entertaining space most families want to employ. 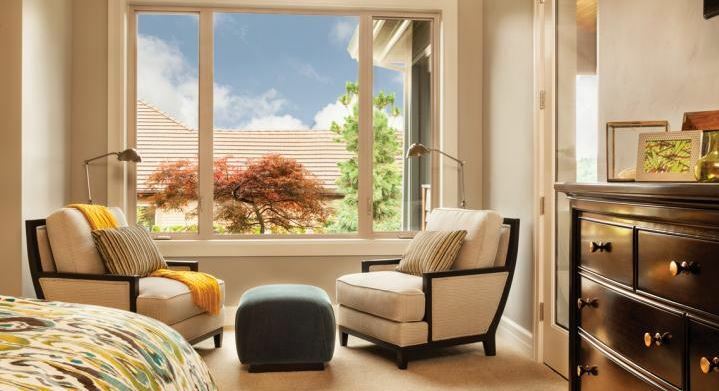 Whether you consider large picture windows or a beautiful bay window, remember that your windows can make a room feel much larger and far more open. We talk a lot about open concepts. Sometimes we forget about the extent to which windows can contribute to those concepts. Windows can also make or break an office space. Many of us enjoy working and reading with the help of natural light. It’s a vast departure from artificial lighting. The latter can make your office space feel more like an office building. Let a little nature in. The difference can be astonishing. You may even find yourself enjoying some fresh air from time to time, a perk that certainly isn’t limited to offices alone. That natural air can keep a bathroom feeling more fresh and less steamy after a hot shower. It can keep your bedroom cooler as you drift off to sleep, too. Of course, all of this requires that the rooms in your home have windows that get the job done. That implies that they’re in working condition and meet your needs. These are important factors, and they change the way your home functions in a positive fashion. If you are interested in replacement windows in the Fountain Hills, AZ, area, consider reaching out to Cougar Windows & Doors. We want your home to function the right way, too, and we will help you get there. You can visit us at 3820 E Main St Ste 5, Mesa, AZ 85205 or place a phone call to (480) 699-9066. 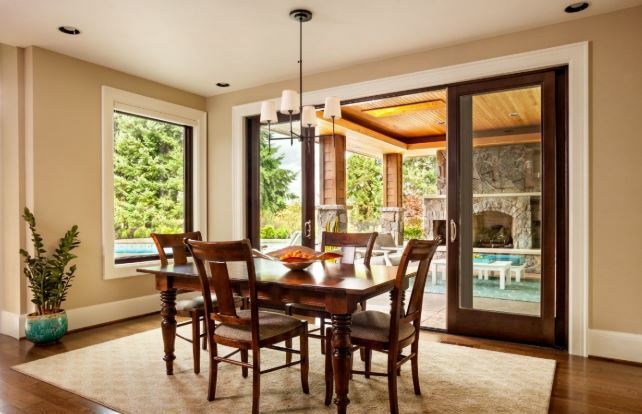 You may be facing some decisions when it comes to your home’s current windows. In the event that they’re older, look dated, or aren’t performing properly, there may be some very good reasons to replace those windows. You should take those reasons seriously. Your home will thank you for the added attention. If you or someone you know is looking for replacement windows in or near Gilbert, AZ, remember that there are a wide range of window materials and any number of styles that can meet your home’s needs. The big question in the meantime is whether you should consider replacing those windows at all. Some families find themselves taking on all kinds of other projects and forgetting about their windows. That can wind up being problematic over the course of time. Like roofs and exterior siding, your windows are integral to the protection of your home from the elements. They do a lot of other cool things, too, like letting in natural light, making it possible to invite air into your home, and creating views of the outdoors. Windows also assure that your home remains energy efficient. When closed, they keep air where it is supposed to be and assure that it isn’t seeping in or out of your home. That can be crucial to your home’s energy bills, which may experience unwanted increases in the event you’re relying upon older windows. Especially old windows (installed before the 1970s) may even be single-paned and thereby particularly problematic when it comes to energy efficiency. These aren’t the kind of things you want to worry about. Windows should take care of themselves, right? Newer windows seem to do just that, and for a very long time. Depending upon the kind of windows you want installed when replacing your current windows, their lifetime can be pretty extensive. Your new windows may last as many as 30 years, sometimes even more in the event that you’re thinking about something like fiberglass windows. That’s a long time. And that’s a good way to put your mind at ease. You’re likely to notice some problems with your windows if they haven’t been replaced in some time. There may be damage to the windows themselves, and they could even be compromised by moisture. You may also notice that some windows don’t seem to be opening and closing properly. That’s a problem, too, especially if you’d like to use them more frequently. Depending upon things like insects and weather conditions, your current windows may be taking a beating without your family having realized it. Rather than letting these kinds of issues creep up on you, you may want to have a professional take a closer look. While replacing your windows can cost some money up front, you will likely appreciate the decision over the course of time. That’s the kind of investment worth making. If you are thinking about replacement windows in the Gilbert, AZ, area, consider reaching out to Cougar Windows & Doors. We understand that windows are a serious investment, and we will do our best to make sure that you make the right one. You can visit us at 3820 E Main St Ste 5, Mesa, AZ 85205 or place a phone call to (480) 699-9066. Have You Let Your Windows Go For Too Long? When is the last time you’ve looked into the status of your home’s windows? There’s a pretty good chance it may have been a few years. Consider this a reminder. Your home’s windows don’t last forever, and it may be time to at least begin thinking about replacing them. If you or someone you know are looking for replacement windows in or near Tempe, AZ, you should remember that there are a wide range of options that can meet your home’s needs. Whether you are concerned about the look for function of those windows, there are solutions that come in a range of materials like wood, vinyl, fiberglass, aluminum, or wood that has been clad in either vinyl or aluminum. There are also countless styles that can fit existing windows or be installed anew. When push comes to shove, there is really no excuse for letting your windows fall into disrepair. Nevertheless, it is certainly easy to forget about windows. Somehow they seem to take care of themselves and last forever. Unfortunately, that isn’t really the case. Sure, some newer windows can last in excess of 30 years. That’s a long time. But that also isn’t always the case, particularly when we are talking about older windows instead. Remember that some kind of windows require fairly regular maintenance. Wood windows generally need painting and treatment over the course of time. And aside from maintenance, windows are also subject to weather conditions that are sometimes extreme and unfavorable. You may find that some vinyl windows have warped over the course of time due to temperatures. It can happen right under your nose if you aren’t watching carefully. And many of us aren’t. Regardless of weather conditions and materials, you may want to have someone take a look at your windows if they’ve been there for at least 20 years. There’s no guarantee that they’ll need to be replaced, but it may be better to be on the safe side. 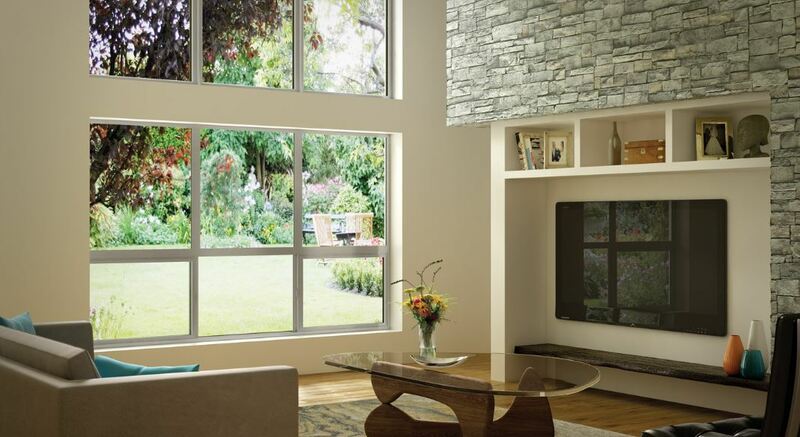 Remember that windows play an integral role to the energy efficiency of your home. If they’re old or damaged, you may find yourself experiencing things like drafts of cold air in certain rooms. You may even find that your energy bills take a hit over the course of time. For some families, the real warning sign is the look of the windows themselves. Just as you might take on certain projects like kitchen countertops or new hardwood floors, you may wish to think about whether your windows look dated and out of touch. If so, that’s reason enough to consider replacing them sooner rather than later. Just don’t leave those windows alone for too long. They may be past their prime before you know it. If you are interested in replacement windows in the Tempe, AZ, area, consider reaching out to Cougar Windows & Doors. We take your window needs seriously and are always happy to help when the time comes. You can visit us at 3820 E Main St Ste 5, Mesa, AZ 85205 or place a phone call to (480) 699-9066. A great many families may find themselves looking for a more modern home, replete with contemporary styles and updated finishes. Older homes can certainly have their charm, but sometimes they just look old and out of touch. You may be surprised to learn than windows can play an important role contributing to that modern feel so many seek. If you or someone you know is looking for replacement windows in or near Fountain Hills, AZ, rest assured that there are a wide range of solutions that should fit your style. Those solutions come in a range of materials and styles that can enhance the look of your home right away. But with so many competing priorities, the important thing is that you remember the difference windows can make, particularly when you’re trying to achieve a more modern look. Older window styles are often pretty obvious to the eye, and they’re par for the course when dealing with a home that may be several decades old. You may notice awkward bay windows taking up space and creating undesirable shapes. You may notice arched windows that might have made more sense in the 1980s or 1990s. Perhaps you have determined that many of your windows are simply too small. Whatever the style, they may fail to create the sense of openness that so many of us prefer. And they certainly may limit your views of the outdoors—a problem when we are talking about windows. Wood windows also tend to show their age at a certain point, and that may be reason enough to pursue to a more updated look. You may also find that wood does a poor job of matching the rest of your home’s design. Unless you are working with a charming craftsman or colonial-style home, wood may not be the best fit. Other kinds of windows reach their limits, as well. Vinyl windows may even begin warping over the course of time, especially if they’ve been subject to extreme temperatures and weather conditions. If your windows look old, they probably are. It may be time for something new. Newer window styles can transform your home every bit as much as new countertops or cabinets. When things are starting to look dated, it is probably time to take action. 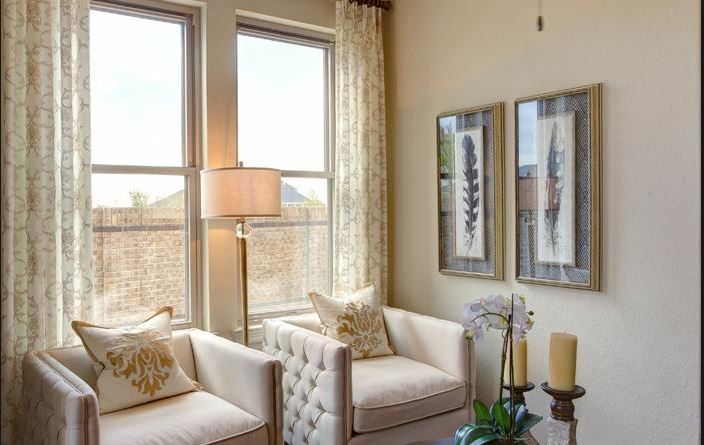 For example, a wall that enjoys large picture windows can create a profound sense of openness that makes your home feel larger and more inviting. Large sliding windows can create a similar effect while adding unique function to your home thanks to their ease of use. You may wish to speak with a designer and review some of your options. There is sure to be a solution that makes your home look newer and more contemporary. If you are interested in replacement windows in the Fountain Hills, AZ, area, consider reaching out to Cougar Windows & Doors. We look forward to doing what’s right for your home and helping it live up to its full potential. You can visit us at 3820 E Main St Ste 5, Mesa, AZ 85205 or place a phone call to (480) 699-9066.